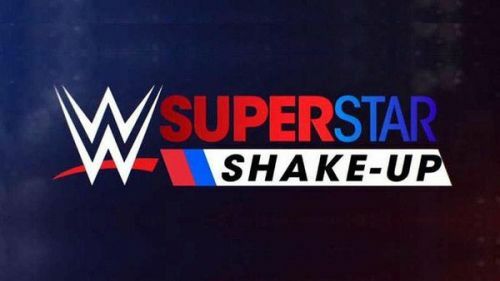 The much-hyped Superstar Shake-up is all set to take place in a few hours and the rumour mills have predictably been churning out some notable reports regarding the possible movements. One of those has come from WrestleVotes. It's being said that The Usos could be on their way to Raw. The six-time WWE tag team champions have spent nearly three years on WWE's blue brand. After winning the unified Tag Team titles twice prior to the brand split, Jimmy and Jey Uso were shifted to SmackDown Live as part of the WWE Draft in 2016. The twins would go on to become the mainstay of the SmackDown tag team division, winning the titles a record-setting four times. They most recently won the straps for the fourth time when they defeated Shane McMahon and The Miz at Elimination Chamber 2019. Jimmy and Jey retained at WrestleMania 35 in a Fatal 4-way match, however, they dropped the titles to the Hardy Boyz on the SmackDown After Mania episode on April 9th. While many were surprised over the booking decision, the latest report from WrestleVotes now makes it an understandable situation. The Superstar Shakeup begins tonight. What do you guys want to see go down? One rumor I continue to hear, although unable to confirm just yet: The Usos moving to Monday Night Raw. It's a rumor, so take it with a grain of salt as always. However, it does make sense as Usos aren't the tag champs on SmackDown, which was the only thing that would have prevented a move. While we would have loved to see a series of matches between The Hardy Boyz and The Usos on Tuesday nights, a shift to Raw will be a fresh challenge for the Samoan Twins as well as a much-needed addition to the red brand's tag team division. We just can't wait for The Revival vs. The Usos.